One brother dead, the other sentenced and now the accountant in police custody is the continuing story of the AKL crime organization that made the headlines with the ambush murder of Elías Akl on May 15, 2017. Later that same day, brother Ziad was detained at the Juan Santamaria (San Jose) airport trying to leave Costa Rica. Ziad was sentenced to 12 years in prison on November 23, 2018. Last Thursday, March 28, a 22-year-old man identified by his last name Díaz Chinchilla was arrested at the San Jose airport, arriving on a flight from Europe. 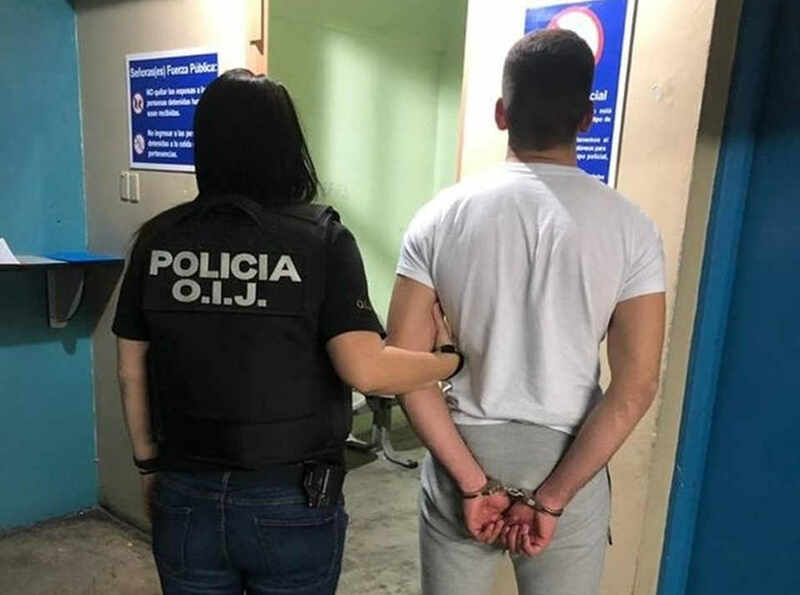 Díaz, who is a suspect in various crimes including aggression and attempted homicide, had left Costa Rica on March 3, 2017, headed for Colombia. According to the Organismo de Investigación Judicial (OIJ), Díaz had control of the payment terms, as well as the extortions that the AKL brothers made. Learning of this relationship, Costa Rica an immigration alert was issued. But he had already left the country. The OIJ says Díaz had delimited control of his range of action in the criminal organization that had its operational center in Escazú. Their main customers (victims) were informal tax drivers taking out high-interest short term loans. “He (Díaz) had control of the accounting books, which said who had to pay on Mondays, who on Tuesdays, who on Wednesdays, and so on. If those payments were not made, came the injuries,” said Osvaldo Ramírez Miranda, Chief Investigator of the Section against Organized Crime of the OIJ. Ramirez added that after the death of Elias and the arrest of Ziad, the group disbanded and the OIJ stopped receiving complaints, ruling out someone took over the group. The murderers of Elias remain in flight. In Canada, Ziad faced charges related to a fight he held in a bar in Laval, Quebec, in December 2009. In that event, his brother, Elías Akl, also participated. After that event in Canada, the brothers remained in flight from December 2009 until 2014, when the authorities captured Ziad Akl, in Boston, United States. It is unknown when he was released. The first time the Akl brothers entered Costa Rica was in 2015. In February of his year, a judge stopped the handing over of Ziad Akl to Canadian authorities, keeping him in Costa Rica to serve out his time here and can face any further charges from the ongoing investigations into the Akl brothers criminal activities. Previous articleCosta Rica and Central America is an extension of Mexico?